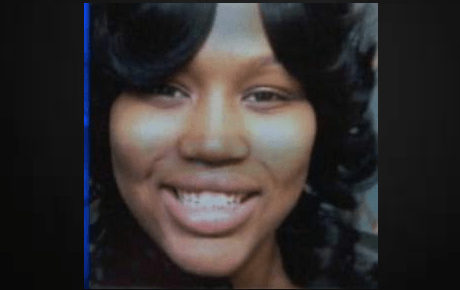 The Renisha McBride case has been developing slowly. News broke about two weeks ago that she was killed after surviving a car accident and looking for help from residents in Dearborn Heights, Michigan. Shortly thereafter, we found out that her killer had not yet been charged, but his lawyer deemed the murder ‘justified.’ On Friday, her killer was identified as a 54-year-old white male named Theodore “Ted” Wafer. He was arraigned for second-degree murder just about a week after the 19-year-old was fatally shot in the face with his shotgun and died of her wounds. Yesterday, the audio from his 9-1-1 call was released. In addition to showing that he indeed discharged a weapon at an unknown person outside of his home, his call proves that a) she never attempted to gain entry and b) he likely fired the weapon intentionally. These facts make that ‘self-defense’ claim a bit flimsy if you ask me. On the tape, Wafer clearly knows that he shot someone for “banging on his door.” Not attempting to gain entry, not sneaking in, and not posing a threat. He simply says that they were banging. He hangs up before completing his address for the dispatcher. The most interesting aspect of this case’s development has been the details which have come out after McBride’s murder. According to reports, McBride was under the influence of alcohol. She had a blood alcohol level of .22 which exceeds the legal limit, not to mention she was underage. These details were released, but Wafer’s toxicology report was never exposed to the public. Seems a bit lopsided right? Wafer was protected in the early days of the case as police enforcement worked to ‘protect’ his identity. To avoid a public indictment or presumption of guilt, Wafer’s personal details were withheld from public view until just recently. What was striking to me about the call was the calmness with which Wafer addressed the dispatcher. He sounded more irritated than remorseful. And, his emphasis on McBride “banging on the door” seemed like he was upset that she interrupted his sleep. I guess he was upset enough to grab a loaded gun and take her down for good. But, what he didn’t say was that someone was breaking into his home. He also didn’t say that he was fearful for his life. He didn’t even care enough to stay on the phone and give his complete address. McBride was only 5 feet 4 inches tall. This means that she would have hardly looked like an ominous threat to the average grown man. Since she was shot in the face, Wafer would have had to aim the gun squarely at her. He originally claimed that the gun fired ‘accidentally,’ but the safety was off and it was loaded. He was prepared for battle. Had he simply picked up his phone and called the police, McBride would have been charged with driving under the influence but at least she’d be alive today. Apparently, race is no longer being considered a factor in the case. The lawyer for the McBride family, Gerald Thurwell, described this as “human profiling” not ” racial profiling.” In other words, Wafer was just afraid that anyone was on his front porch in the wee hours of the morning. And, he would have shot anyone. I am not so sure I agree but this assertion still proves the murder unjustified. Wafer’s bail was set at $250,000 and he was not deemed a flight risk. He will be back in court in mid-December. The hope is that the facts will come to bear in this case, and Renisha will get the justice she deserves. November 9, 2013 Shooter’s Lawyer Calls Renisha McBride’s Murder “Justified.” Right.